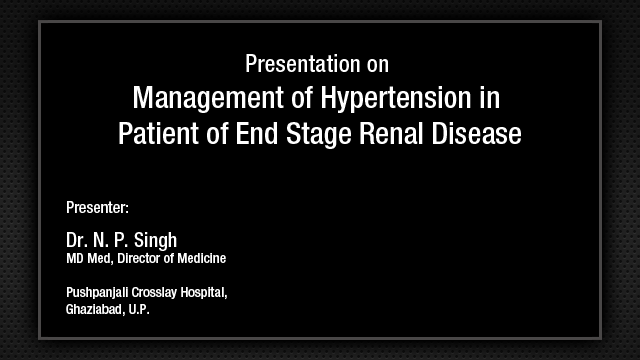 Beta Blockers in the Management of Hypertension - Where do we stand? 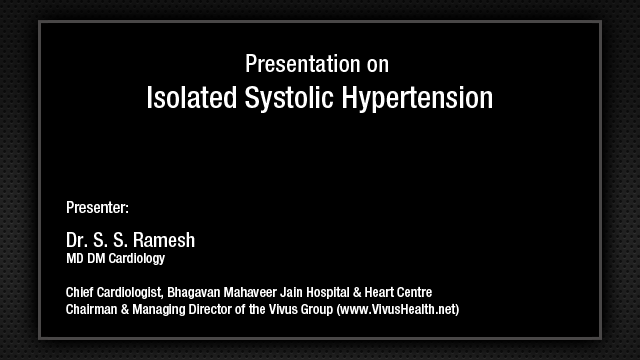 In the next 20-25 mins I shall be discussing with you the Beta Blockers in Hypertension - Where do we stand? As you know, the beta-blockers interact at every step of cardiovascular continuum, primarily at hypertension where it has been used for last more than 3 decades and have been the first line therapy recommended by several guidelines. This is the mechanism of cardiovascular benefit of beta-blockers and as a first line therapy in hypertension, when there is a compelling indication, of course, there is no controversy which was beautifully highlighted by Dr. Pahalajani, but if there is no compelling indications, then till 2003 there was no controversy, as results from the BP-Lowering Treatment Trialists it was almost comparable with other antihypertensive for reduction in major cardiovascular event concerned, cardiovascular mortality concerned, and total mortality is concerned. Then came 2004 where the publications have generated significant controversy about role of beta-blockers as the first line therapy in hypertension. They are based on two sets of meta-analysis, one appeared in 2004 against atenolol and it was based on 9 randomized control trials where they conclude that atenolol reduces blood pressure but it is no better than placebo in reducing cardiovascular death and stroke. Similarly, as compared to other drugs it increases cardiovascular mortality and more frequent strokes. Then the second set of meta-analysis appeared in 2005 which was against all beta-blockers and it was a pooled data from 13 randomized control trials concluding that there is excess risk of stroke by 16% associated with use of beta-blocker compared with other antihypertensives. Then the recent data from the REACH Registry and there also they concluded that beta-blocker use was not associated with a lower event rate of cardiovascular events at 44 months followup even among patients with prior history of myocardial infarction and this insight from the REACH Registry, the patient with just only coronary artery risk factors not even coronary disease, the beta-blocker was associated with worst outcome with increased risk of primary composite end point of cardiovascular death, non fatal MI, and non fatal stroke, and increased risk of secondary outcome. But then we see the meta-analysis coming from Canadian Medical Association. It was based on 21 clinical trials of more than 1,45,000 patients and incorporate all relevant beta-blockers trials using composite outcome, stroke, myocardial infarction, and death and explore and explain the heterogenicity in the beta-blocker trial results comparing outcomes in the younger as well as older patients, and the results confirm the finding of the Lancet article that beta-blocker associated with increased risk of stroke compared to other antihypertensive, but it was found in the older patients and not in younger patients. When you look at the beta-blockers compared with placebo in elderly population, there is no difference, but two of the trials, HEP and STOP, still showing favorable results in favor of beta-blockers. When compared with other antihypertensives in the elderly population, there was no difference and few of the trials that showed favorable results with other antihypertensive rather than beta blockers and this a meta-analysis of the prospective clinical trials in hypertension in elderly, the all cause mortality is reduced in favor of diuretics rather than beta blockers, particularly in elderly. Now coming to the younger patient, what is the scenario? While reducing the rate of cardiovascular death and myocardial infarction and also the stroke with a beta blocker in the younger population and I am going to compare with other antihypertensive it showed the similar cardiovascular death, MI, and stroke and both for the beta-blockers as well as other drugs. So the hypertension in the elder and the young is characterized by the different properties, the low arterial compliance in the elderly and the high cardiac output in young and hence it is expected to have a differential effect of antihypertensive in both subgroups. But we have seen the limitations of the trials refuting beta-blockers in meta-analysis and one of the trial was MRC-old which was the weakest of the randomized control trial in elderly of 4396 patients, 25% were lost to follow up and 65% randomized to beta-blockers were either withdrawn or lost to follow up. Then we see the HAPPHY trial which was the comparison of the beta blockers and diuretics and here the two drugs had similar blood pressure reducing effect, but more drugs were required in the diuretic arm rather than the beta blocker arm and of course the stroke reduction was there in the HAPPHY trial. Then coming to the MAPHY trial which was continuation of the HAPPHY trial and it showed reduction in the cardiovascular mortality by 48%, but this study was not included in meta-analysis. Then the major controversy come from the LIFE trial were the losartan and atenolol was compared and it showed that fatal and nonfatal stroke was reduced significantly in favor of losartan rather than atenolol, but when you look at the cardiovascular, fatal and nonfatal myocardial infarction, there is no difference between losartan and atenolol. When you look at the characteristic of the patients who were taken in the LIFE trial, the majority of the patients who were elderly, which is not the ideal situation for the beta-blockers to be compared and 15% of the patient were having isolated systolic hypertension. Again, the beta-blocker are not the choice in that situation and it was compared. Then coming to the ASCOT trial later on where the amlodipine and perindopril was compared with atenolol thiazide combination and it proved to be better in reducing the primary and secondary endpoints. But the problems with those conclusions in the ASCOT trial, the beta-blocker used in the ASCOT trial was inappropriately dosed and atenolol in fact is not a once a day, it is a twice a day drug because the early morning surge is not attenuated. Then there is a misleading comparison here in the ASCOT trial, elderly patients were selected for the comparison with beta-blockers which is not the ideal situation and look here the elderly patients were taken in the ASCOT trial. Then the CAFE trial which was an ASCOT sub-study addressing more on the central aortic pressure where the beta-blockers are not the ideal drugs for reducing the central aortic pressure with more of the peripheral blood, the brachial blood pressure, but again it is seen more in the elderly population which is not the ideal situation for the beta-blockers. Central aortic pressure is a better predictor of cardiovascular events and that the reason why atenolol did not work well in ASCOT trial. But what about the effect of other beta-blockers on the central aortic pressure, the newer vasodilatory beta-blockers and their effects on the reduction of the central pressure has not yet been investigated, but few of the small trials with nebivolol and carvedilol does show the reduction in the central aortic pressure, this is with the nebivolol. Here, not only the brachial pressure but central aortic pressure is equally reduced with the nebivolol and this is carvedilol trial compared with metoprolol and looking at the central aortic pressure and here the central aortic pressure is much more reduced with the carvedilol compared to metoprolol and not only that this new vasodilatory beta blockers also have a better effect on endothelial function and there is a comparable effect on the systolic and diastolic blood pressure with newly vasodilatory beta blockers. Another controversy came recently where the beta blocker associated reduction in the heart rate increased the risk of cardiovascular events and death by hypertensive patients. This is article from Sripal Bangalore and Messerli and what they pointed out, what the best mechanism behind that the slow heart rate allows the reflected wave to reach the next wave in the systole not in diastole and that is the reason why it causes increase in the central aortic systolic pressure, but the issue is to be still resolved whether it is a beta blocker which is bad or the heart-rate reduction is bad. If it is a latter then we need to know about it, because there are certain other drugs which reduces heart rate like ivabradine showed all the beneficial effects. The question is still there, is beta blocker bad or heart rate reduction is bad. Now coming to the beta-blocker in diabetes, despite the proven cardiovascular benefit, beta blockers are under-used for the hypertension in diabetes and you know all the issues and concerns related to use of beta blockers causing worsening of glycemic control, induced new cases of diabetes, masking hypoglycemic symptoms, and less nephro-protective as compared to ACE inhibitors, but when you look at the result from UKPDS and here the beta blocker atenolol showed superiority over the ACE inhibitor, captopril, so far any diabetic related end point concerned, death related to diabetes, all cause mortality, myocardial infarction, stroke, peripheral vascular disease and microvascular disease in favor of beta-blocker atenolol than captopril ACE inhibitor and even after 20 years of follow up the curve is still diverging in favor of atenolol and these are all beneficial effects of beta blocker in diabetic population by attenuating the noradrenaline release and also the plasma renin activity. So the side effects of the selective beta-blockers on the glucose metabolism do not appear to be relevant for the clinical practice and hence do not restrict the use of these agents as a first line antihypertensive drugs in diabetics and non-diabetics patient. What about other beta-blockers on the new onset diabetes. Evidence from the vasodilatory beta-blockers, carvedilol and nebivolol demonstrated neutral or the beneficial effects and what you have seen in GEMINI trial where the A1c is a neutral effect, no difference even after five months use of carvedilol and on the HOMA IR the insulin resistance is rather reduced in four or five months period as compared to metoprolol where it is increased. Nebivolol in diabetic population, this does not only reduces the systolic and diastolic blood pressure, but also having lipid lowering effect and the reduction in the glucose by 16%. All major agencies, the European Society of Hypertension, European Society of Cardiology, and American Association of Clinical Endocrinology, they recognizes the differences that exist between agents in this class and distinguishing the vasodilatory beta-blockers from the traditional ones in the patients with metabolic syndrome. Now, coming to the issue of how effective are the beta-blockers compared with other antihypertensives and this is based on meta-analysis of the 147 trials which appeared in BMJ of more that 4,64,000 subjects and clearly mentioned that all the five classes of antihypertensive that also include beta-blockers were similarly effective in preventing CHD events and strokes, but beta-blockers had a special effect over and above due to BP reduction in preventing recurrent CHD events. So where is the problem? If every thing was okay, then what is the problem? The problem arises that the meta-analysis by Lindholm 2004 and then 2005, the majority of the trials which were included in meta-analysis they used atenolol in more than 75% of the patients, but whether the conclusion applies to all the beta-blockers or to only atenolol, which was used in clinical trial is still unknown and when you compared atenolol versus placebo and non-atenolol versus placebo then non atenolol placebo found to be superior than atenolol placebo and atenolol compared with other antihypertensives, non-atenolol versus other anti-hypertensives proved to be better than atenolol versus other antihypertensives, and more over the relative risk of major events with atenolol versus placebo, the all cause mortality, cardiovascular mortality, myocardial infarction, and stroke almost comparable with placebo and based on those analysis, we have seen the change in the guidelines. On July 6, 2006, NICE has changed their recommendations putting beta-blocker at the fourth step, from first step to fourth step. But what about other guidelines? JNC-7 has already been shown several times and clearly showed that first line is of course thiazide type diuretics and next all other four can be used a first line therapy in hypertension when there is no compelling indication. This is a reappraisal of European guidelines on Hypertension Management 2010 and again out of five classes, beta-blocker is already there can be used as a first line therapy in hypertension. This is Canadian Hypertension Guideline 2007 that the be beta-blocker should remain one of the recommended drug classes in the therapeutic armamentarium for the younger hypertensive patients and even 2013, recently, is still putting beta-blocker as a first line therapy with a special note that beta blocker to be used in the younger hypertensive not in older hypertensives. This is Indian Hypertension Guideline 2007, again beta-blocker is first line therapy. Any five classes can be used as a first line therapy but it is to be used in younger population and this is very recently 2013 guidelines and guideline committee head is here our chairman, Dr. Shah. What he pointed out that beta-blocker is still recommended as a first line therapy along with ACE inhibitor or ARB in younger population not in older population. Combination therapy, the acceptable combination is still CCB and beta-blockers. So, beta-blocker still have a place here in the combination therapy acceptable. Now, the question comes, that it has been recommended in the younger population and the physician and patients are afraid of erectile dysfunction which has already been discussed. When you look at the comparison of the beta-blocker responsible for erectile dysfunction then of course the nonselective beta-blockers are more responsible for erectile dysfunction than the selective. With atenolol also there is 3% but when you look at the data from bisoprolol, it is almost 0% because it is very highly selective beta-blocker and more over the newer beta-blockers, the vasodilator beta blocker, nebivolol not only having a neutral effect but also it improves the erectile function. It improves erectile function at all parameters of IIEF and therefore it is the drug of choice nowadays in the erectile dysfunction as antihypertensive along with ARBs. There is a reduction in the 3 months period, there is reduction in the number of patients who have erectile dysfunction with nebivolol, but there is a psychogenic factor responsible in beta-blocker associated erectile dysfunction. This was beautiful study conducted by Silvestri where three groups of the patient who received beta-blockers. The first group did not know what is the drug and what is the side effects. Second group know that it is a beta blocker but do not know that it does cause erectile dysfunction and the third group know that it is a beta blocker and they also know that it causes erectile dysfunction and you find higher incidence of erectile dysfunction in the third group though all three groups received beta blockers. So, there is a psychogenic factor which comes into play. Then beta blockers continue to surprise us. Once it was considered to be contraindicated in peripheral artery disease and now it has been recommended in the peripheral artery disease and this is the mechanism how it improves. Laminar flow is maintained and there is a high shear stress on the endothelial wall that reduces the risk of atheromatous plaque formation and several short scale studies clearly showed the benefit of beta-blockers. The walking distances improved with the beta-blockers and moreover in the UKPDS trial it is clearly mentioned that all the other parameters along with peripheral vascular disease has also been improved with beta blockers and number of amputation also been reduced in favor of atenolol as compared to captopril and this is the TASC II consensus, beta blockers are not contraindicated in peripheral artery disease class I. 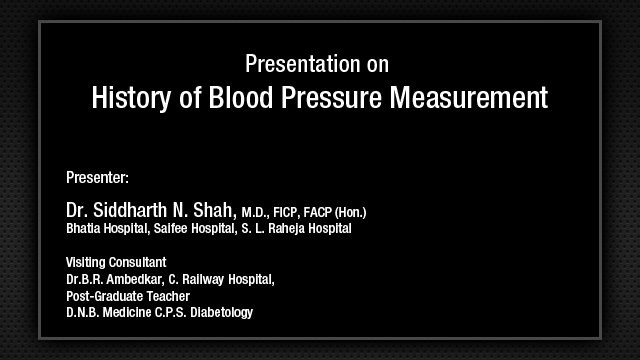 So what is the role of beta-blocker in hypertension? Certainly not that recommended by NICE guideline. Based on randomized control trial in the younger, probably overweight, obese, hypertensive, diabetic, which has a more sympathetic over drive and with the pulse pressure of less than 70, the first line therapy would be highly selective beta blocker.